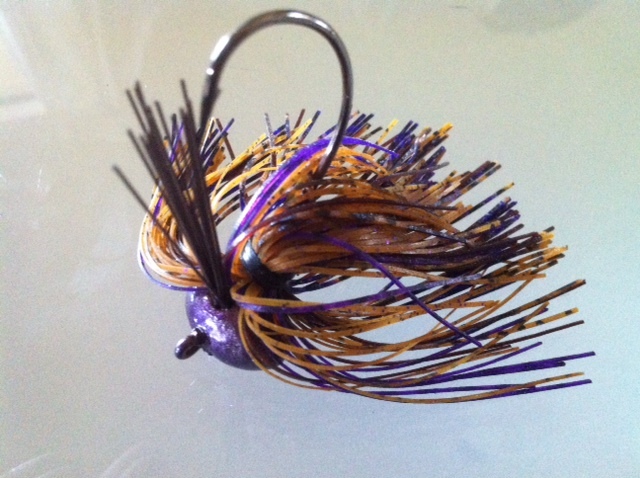 WE ARE UPPING OUR GAME WITH OUR NEW DEAD MAFIA LURES F.O.O CUSTOM ELITE PRO SERIES STANDUP FOOTBALL JIGS. SIMPLY A CUT ABOVE ALL OTHERS. WE SPECIALIZE IN THE VERY BEST QUALITY COMPONENTS IN THE BASS FISHING INDUSTRY. OUR F.O.O CUSTOM ELITE PRO SERIES STANDUP FOOTBALL JIGS CONSIST OF HIGH QUALITY TWO TONE CUSTOM POWDER COATED / AIRBRUSH PAINTED JIG HEADS. THEN FINISHED OFF WITH A EXTRA DURABLE CLEARCOAT EXOPY TOPCOAT. COMPLETE WITH PLASTIC TRAILER KEEPER AND DURABLE MEDIUM FLEX WEEDGUARD. OUR 50-60 STRAND SKIRTS ARE NEVER MASS PRODUCED, BUT INSTEAD INDIVIDUALLY FORMULATED LAYERS OF MULTIPLE COLORS AND PATTERNS TO GIVE A MUCH DEEPER REALISTIC PRESENTATION. AN EXTRA STRONG HEAVY WIRE MUSTAD ULTRA POINT HOOKS THAT DEALS WITH THE TOUGHEST OF FISHING ENVIROMENTS FINISHES IT OFF TO PROVIDE YOU A ONE OF A KIND STANDUP FOOTBALL JIG.